What colors of granite go together? Can I use a different stone on my island than what's on the perimeter countertops? My island cabinetry is different from my other cabinets, so can the granite colors be different too? For some reason this has been a hot topic lately from customer's in our showroom and via email from our readers. So I thought it would be a good subject to tackle today! "A cabinet or island in a color or wood that's different from the rest of the kitchen works much like a patterned scarf with a solid-black suit. More than a finishing touch, by breaking up the monotony, it becomes a pivotal design piece. 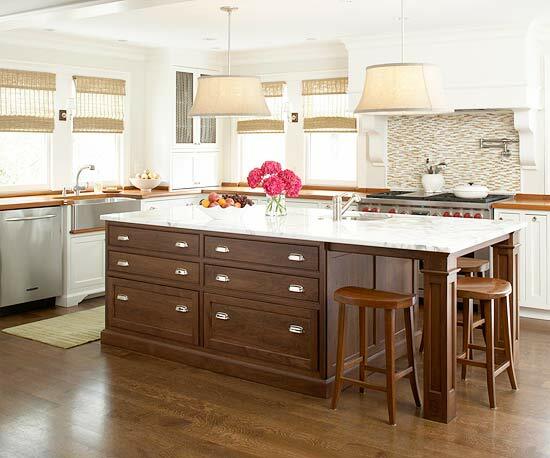 Today's most popular example is a colored island surrounded by wood-tone or white cabinets. But it's also not uncommon to see a hutch or one section of cabinetry treated in the same manner." They were talking about cabinets, but that also relates to the countertops. 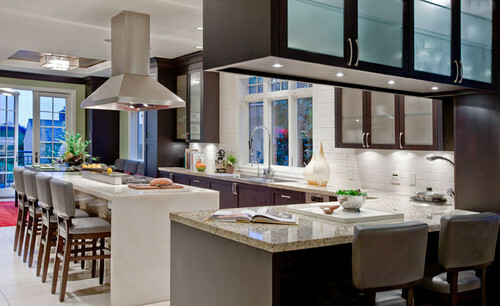 Especially when you are considering what stone(s) to use on your two toned cabinets. The key to mixing stones is to make sure they don't fight each other. 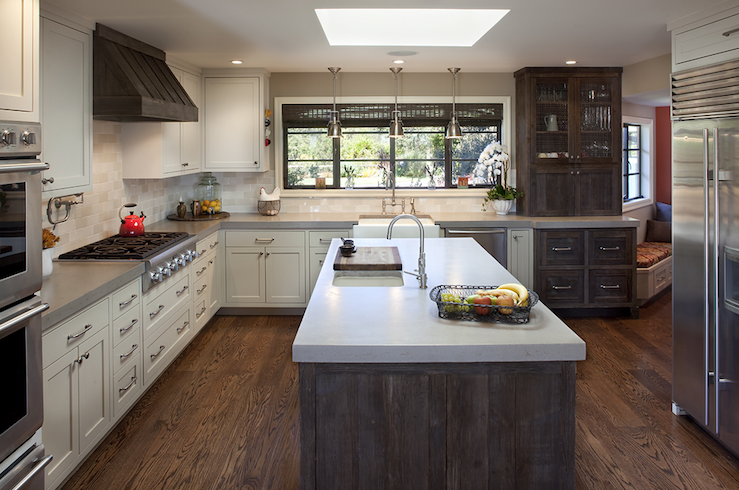 Natural stone is usually pretty strong, so it can be hard to find another granite that doesn't clash in pattern. 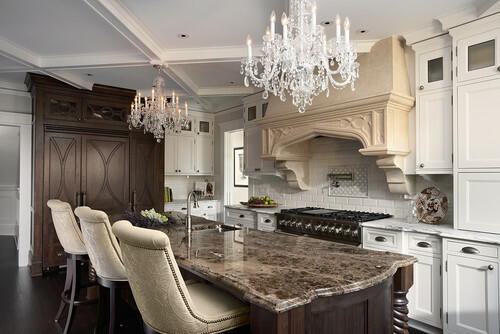 I really like mixing quartz countertops with natural stone. You'll notice quartz is in most of the kitchens posted here. 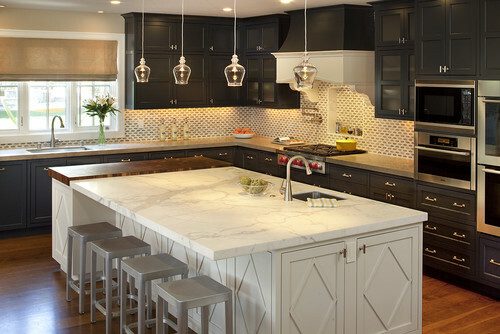 I also like using Absolute Black granite (honed and polished) as well as Soapstone with the more dramatic stones. Emperador Dark marble on the island. White marble on the perimeter. Quartz island with a Waterfall edge. Perimeter countertops are granite. White marble on the island. Absolute Black polished granite on the perimeter. 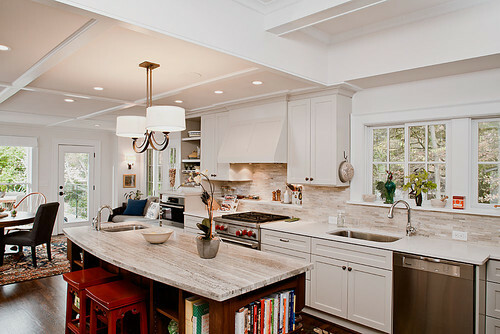 Quartz countertop on the island. I can't tell for sure, but I think it may be stainless steel on the perimeter. 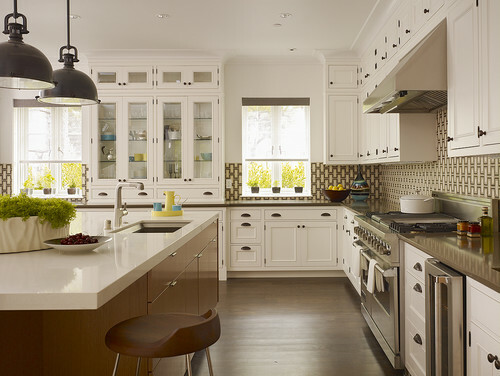 contemporary kitchen design by san francisco interior designer Steven Miller Design Studio, Inc.
Calacatta Gold marble on the island. Quartz on the perimeter. Sienna Silver vein cut travertine on the island. Samsung Radianz quartz in Everest White on the sink run. Calacatta Gold marble on the island. Wood countertops on the perimeter. Absolute Black granite on the island. 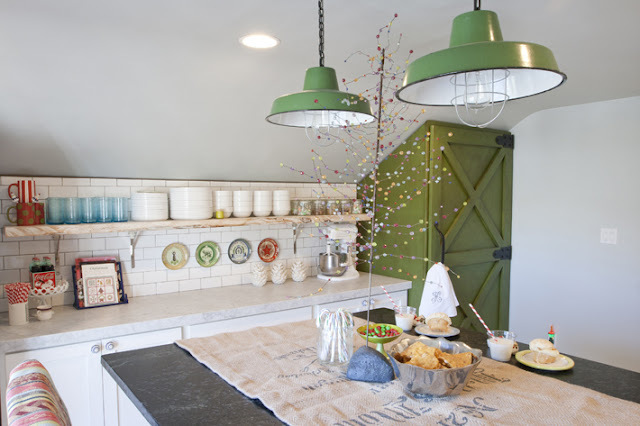 White perimeter countertops. White quartz on the island with grey quartz on the perimeter. 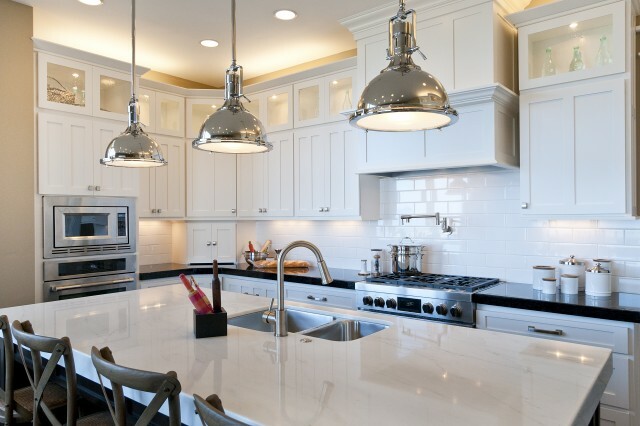 A kitchen from our portfolio. Soapstone on the island with Carrara marble on the perimeter.